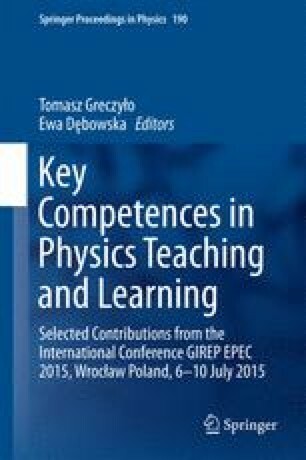 A teaching module of eight hours was carried out with four computer science Ph.D. students and five math students enrolled at the University of Verona (Italy) in order to calibrate an Inquiry-Based proposal on Quantum Mechanics for non-physics majors and to develop educational supporting tools. The path is situated in the context of linear polarization of photons, employing a formal approach based on the description of the quantum state as an abstract vector, both representing a needed background for students interested in Quantum Computing and Quantum Cryptography. A special focus is given to the superposition principle and its interpretation in a particle-like description, as well as to the different and new meaning of measurement. Single photon entanglement and the superposition of spatially separated states are also addressed. The proposal includes exploration through real experiments with macroscopic light beams, using Polaroid filters and birefringent crystals, and through ideal experiments on single photons, using a specifically developed Java applet. Seven worksheets were developed to support student concept building. Preliminary data analysis elicits two important conceptual hurdles: recognizing the active role of Polaroid filters with respect to the polarization of the photon; recognizing that a single particle can exist in a superposition of spatially separated states.